I put together this quick beginner-friendly overview so you can make an informed decision of the Best Web Hosting provider for you. Knowing that you need Web hosting is one thing. It’s quite another to decide which hosting service to throw your lot in with. Choosing the right hosting service provider is one of the most important decisions you will make when developing an online presence. With the many types of hosting available today, understanding your website’s needs will make a big difference. Our hosting guide takes you through detailed easy to understand information that will help you make a more informed decision when choosing the right hosting provider. What Does Hosting a Website Means? How Fast is My Web Hosting? To be able to publish your website, you need a web host. Just like the files on your personal computer, each page of your website is a file that needs to be stored on a computer. All of the pages of your website are stored on the web host’s server, a complex computer which is robust enough for many people to be able to access your website’s files at the same time, and which is connected to the internet via a very powerful link. When someone types in the domain name for your website, for example, “www.yourwebsite.com”, the website is loaded from your web host’s server. You’ll have to pay the web hosting company a monthly or annual fee, which will vary depending on how much bandwidth your site uses, and how much space is required on the server to store your files. Before you sign up with a web host, it’s a good idea to do some research and try to estimate how much traffic you expect, and how big your site’s files will be. There are a number of different ways of hosting a website which is suited to sites of various different sizes, as well as different budgets. These include shared hosting, a virtual private server (VPS), a dedicated server, and cloud web hosting. Shared hosting is the least expensive but also the least reliable and flexible, while a dedicated server or cloud hosting service will offer great flexibility and security. Some hosting plans also include email addresses and other services. Once you have estimated how big your site will be you can figure out which type of hosting service and package will best suit your needs. If you’re new to running your own website, it’s important to choose a web hosting company which offers great technical support. That way you know the web host will be able to help you if you have any problems with your site. It’s a good idea to check web host review websites to see what past and present users have to say about each web host’s support and customer service to see which web host will be the most helpful should you have any problems, and also if there are any issues with reliability or downtime. You could also try calling the hosting company’s customer service team yourself while you are doing your research to see if you’d be happy dealing with them when you have a problem. Anyone who wants to run a website needs web hosting. It shouldn’t be difficult to find a reliable web host that suits your budget and your site’s needs, as there are plenty to choose from. Remember to do your research before choosing a web hosting company so that you have enough resources to serve your website to your visitors, without overspending on too much bandwidth or space. All important factors that you need to consider while choosing your Web hosting. Probably the most important factor when buying website hosting is to look for value for money. Most people confuse the word ‘value’ with being the cheapest thing you can possibly buy. However, that’s not what value is. Value is finding a quality product at the right price. 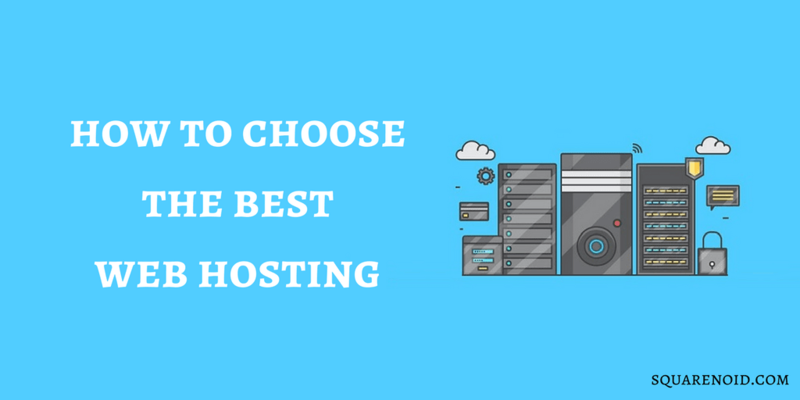 When it comes to choosing a website host, you most certainly don’t want (or need) the most expensive hosting, but neither should you necessarily opt for a dirt cheap host. So look for value – that is quality service from a reputable company at a good price. Starting a website and choosing the ideal web host can be a daunting task, so here are a few dos and don’ts of web hosting to help you make the right decisions. Before signing on with a web hosting company, make sure you have figured out what you actually need from your provider. Do you need a dedicated server or are you going to be fine with just a shared hosting plan? What do other users have to say about the web host’s service and reliability? Make sure you’ve looked at multiple web hosts and checked user review sites, and have a firm idea of which host and plan will suit your needs before you commit. For beginners, it is better to go with a shared hosting plan. It’s best to avoid web hosts which have only just opened their doors. They may be cheap but it’s better to wait until they have an established reputation. Let other people try them out and then wait and see later down the track what their reviews are like if you’re still interested. The web hosts we have mentioned in this guide are well known and popular companies, secure & reliable and are hosting millions of websites. If you don’t know how much space, bandwidth or server resources you need, choose the smallest plan. If your site is a huge success, you can increase your plan later (just make sure you do so before you outgrow it completely). On the other hand, if your site doesn’t take off straight away, at least you won’t have spent a lot of money on resources you don’t need. When you’ve chosen a web host, it’s best not to pay for more than one year in advance unless you’re already familiar with the company. By only paying for one year you’ll be free to look elsewhere if you aren’t happy with the service when the year is up, instead of being locked in for two or three years. If you’re happy with the service after the first year then you can consider a longer-term subscription which will likely have a lower per-month cost. Hostgator provides monthly plans of web hosting to start off your new website. Many web hosts offer bonuses such as Facebook or Google advertising credits, which might be useful to you when advertising your newly-launched site. They might also offer an affiliate program so that you can earn money for referring new users to their company. An unconditional money-back guarantee is also a good thing to look for – you will hopefully never need to use it, but it will be good to know that you’ll get your money back if you’re not satisfied with the web host’s service. If you’re wondering what MySQL, PHP and letters like that mean, don’t worry about it. If you don’t know what they are you probably won’t need them. Just because a host offers these things doesn’t necessarily mean they’re better than web hosts that don’t. There are many free web hosting services, but don’t go with the word FREE. They aren’t actually free. The biggest downside of having a Free Host is they are unreliable, unsecured & no guarantee of any support. Your website may see multiple downtimes even for long hours. There is no surety that when these free hosting providers will stop offering their free services and leave you hanging at any time. However, if you just want to blog for fun or time pass, you can consider creating a free blog on WordPress.com or Blogger.com which is 100% better than those cheap free Web Hosting providers. If you’re serious about having a great blog or website, try avoiding free WordPress hosting services at any cost. After you read this, I hope you’ll not have any trouble choosing the Web hosting provider that’s right for your new blog or website. Note: It might happen that you land on a page where the price may differ from the price in the table listed above, sometimes high sometimes low. As these are the top best web hosting companies, they keep making changes to their offers, plans & pricing. So make sure to check everything carefully before purchasing a web host. You might even catch them during a sale! 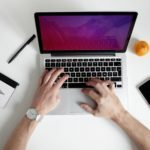 In my step-by-step guide, I use Bluehost to teach you how to start a blog because I think they offer the best features, technical support, and server reliability when it comes to Web hosting but to be fair there are several other web hosting providers that offer quality Web hosting services. Bluehost is an award-winning web hosting company, started in 1996 (that’s before Google), one of the largest web hosts collectively hosting over 2 million+ domains. It is the only hosting service that is officially recommended by WordPress & has been at number 1 recommended hosting service for their platform for almost 10+ years. They have incredible 24/7 Phone Support. What is even more wonderful about going with Bluehost is that on purchasing web hosting, you will get a Free Domain Name which usually costs about 10$-15$ per year. 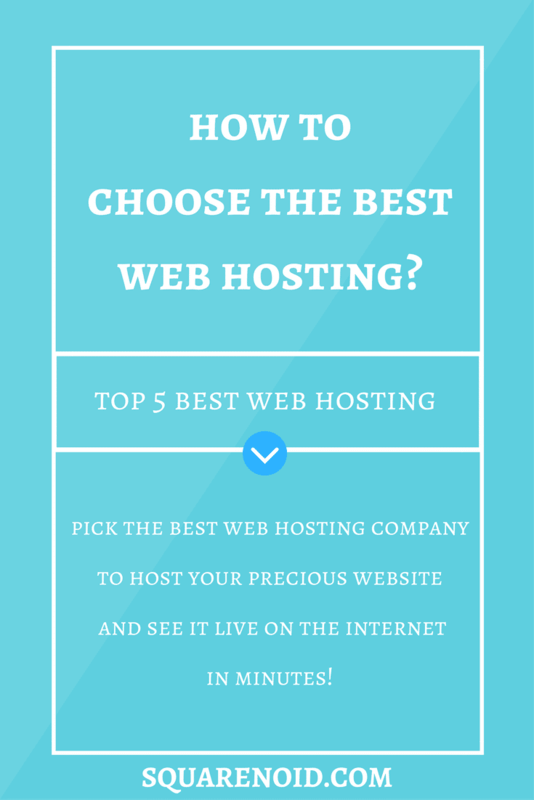 Bluehost is the #1 choice for Website Starters. Hostgator is a leading provider and is one of the world’s most famous web hosting companies of web hosting over 9 million+ websites. We hosted this blog on Hostgator for one year (June 2016- June 2017), and we are quite satisfied with their service. What we love about them is they provide monthly plans unlike most of the Hosting providers that don’t have monthly paying option and offers yearly plans. They offer 1-click WordPress installation, 99.9% uptime guarantee, and 24/7 support, and it’s an excellent choice for every website owner. Siteground is the current favorite, most popular and highly rated web hosting company for the WordPress community. People are switching from other web hosts to Siteground. Even we switched to Siteground, and this blog is currently hosted on Siteground. They are again the one officially recommended by WordPress. With fast WordPress hosting, you get 1-click WordPress install, 99.9% uptime guarantee, and what most people (almost everyone) love about them is their quick 24/7 support. Your queries will get solved within minutes. In case you need help, they tend to help at their level best (Even offer paid resources for FREE in some sort of emergency like your site going down). So, this is again one of the best web hosting company for fast Web Hosting. Read our SiteGround Review to grab more info. InMotion Hosting offers reliable and secure web hosting, started in 2001. It also comes 1-click WordPress install, 24/7 technical support and also a Free Domain Name. They also offer Free data backups & SSDs provides increased performance and reliability so you don’t need to worry about your WordPress website. InMotion Hosting is one of the best WordPress hosting company in this list, it becomes a perfect place to start your first website. Dreamhost is an award-winning Web and WordPress hosting company hosting over 1.5+ million websites founded in 1996. It is one of the best Web hosting company that is also officially recommended by WordPress. They offer 1-click WordPress install, unlimited bandwidth, unlimited space & free SSDs which makes your site 2x faster. With all these features it turns out to be little expensive for beginners as compared to the other web hosts in this list. However, it turns out to be great web hosting, there are no setup fees, and you also get a free domain name which usually costs about 10$-15$ per year. If you plan to install WordPress (The most popular content management system which powers almost 28% of all websites on the internet) to start a blog, then start with buying the best WordPress Hosting, pick up a top premium WordPress theme and start blogging. Note: WordPress.com and WordPress.org are different. If you don’t know what domain and web hosting is? Well here’s a good explanation of What is Domain Name & Web Hosting? Web Hosting providers come in many shapes and sizes and you should find one that will allow you to add services that meet your websites overall needs. Disk storage refers to the amount of server disk storage your account is allocated. This space is used to store your HTML files, graphics, audio/video files and all other files that make up your web site. Any outbound traffic from your web site is considered data transfer. Each time an HTML file, graphic file or any other element on your web page is loaded, data transfer is generated. Be cautious when choosing the right amount of bandwidth for your site as some hosts charge an over usage fee for going over your allotted bandwidth amount. Your bandwidth usage will depend on how many visits your site receives and how many files are accessed. Most website hosting servers contain a control panel where you are able to add accounts and do overall management of your website. Some of the most popular control panels are cPanel, Ensim, and Plesk. You will want to check with your host to see what hosting control panel they offer and ask to view a demo or screen shots. FTP stands for File Transfer Protocol. It allows you to upload and download files to/from your account. This is the most common way people use to send files to their web host. You will need a tool to do so or online file manager from your Control Panel to do so. An example of an FTP tool is CuteFTP. Most all paid hosting providers will allow their members to FTP to their site because it is just too common and important. Usually many free hosting providers do not allow FTP because they need to force their members to use their web-based upload tool so they could display advertisement. You will need a correct username and password pair to FTP to your account. CGI stands for Common Gateway Interface. Web sites that require login or where you can send a contact form or similar may contain CGI code. In a login process, the server needs to check and verify your username and password. Some executable scripts do these. So as when the server needs to verify your credit card information. CGI is the interface between these scripts and the server. CGI-BIN is a special directory used to store those scripts. CGI scripts can be written in many languages but the most popular is Perl. SSI stands for Server Side Includes. SSI offers some dynamic features to your web pages, such as including a current date to your page. Perl scripts are popular in the old days but have been challenged by PHP (see definition below) for the last few years. PHP is more powerful and easy to use because it is designed for the web. Perl is a programming language, which was not designed initially for the web. SSI is also rarely used nowadays because of its limited features. Everything that can be done by SSI can easily be done in a PHP script. CGI-BIN, Perl and SSI are usually included in a paid hosting package. PHP stands for PHP Hypertext Preprocessor. It is a very powerful scripting language created especially for the web. It can be used to write a lot of scripts, i.e. scripts that check for login information, discussion forums, shopping carts and much more. PHP is not difficult to learn especially for those who have programmed before in other languages. Microsoft FrontPage is a very popular WYSIWYG (What You See Is What You Get) web builder software. With FrontPage extensions installed, you are allowed to publish your site directly to your web host via Microsoft FrontPage. Most people’s concerns are whether if FrontPage is compatible with a Unix server. The answer is Yes! There are FrontPage extensions specially written for the Unix systems, which allow you to publish your site to a Unix server. Raw log files are text files generated by your web server. Basically, the files contain information about your site visitors, i.e. visitor IP addresses, the files they accessed, the site they came from etc. It is hard to be read directly as it is still ‘raw’ but there are many Web Statistics software available to analyze the raw log files. The analyzer will generate useful and easy to read Web Statistics (with numbers and graphs) for you. One such popular tool is Web Trends. When someone visits a protected directory that has been created by you, he or she will need to have the correct username and password before they can view the contents of that directory. For an example, you might want to have a section of your pictures available only to your paid members. All you would need to do is to put those pictures in a protected directory and assign a username/password pair to each of your paid members. This feature allows you to give permission to anyone to download files or even upload files to your account via FTP. If you have anonymous FTP enabled, anyone could login to your account via an FTP tool without the need of username and password. Most web hosts require a visitor to log in using anonymous as username and their email address as password. Also known as Shell Access. It allows you to login to your host’s system and executes commands on it. You may delete files, upload files, and check emails on the remote system. Due to security concerns, almost all hosts do not allow Telnet/SSH. An email account looks like you@yoursite.com and allows you to send mail and receive mail from it. Email accounts are usually accessed with an email client such as Outlook Express or Eudora. It could also be accessed with your browser (i.e. Internet Explorer, Netscape, etc.) if a Web-Based Email feature is provided. An email forwarder is an email address but is not a real email account. It will just forward any email received by it to another email address you configure. For example, you can setup a forwarder sales@mycompany.com and post it everywhere on your site. When somebody sends an email to it, it actually is directed to your sales manager joe@mycompany.com. The benefit of posting sales@mycompany.com instead of joe@mycompany.com to your homepage is, what if Joe quits the job and Jack replaces him? You would have to change everything in your site, instead of just reconfiguring your forwarder. An autoresponder is also an email address. It will send a preset message to the sender when it receives an email. The most basic use of an autoresponder is to notify the sender that the email has been received successfully. If an autoresponder email address is not setup as an email account, the emails that are received will not be saved. So, if messages received with an autoresponder need to be read later, it must be configured as an email account as well. If this feature is provided, you can access your mailbox with a browser (i.e. Internet Explorer, Netscape, etc.) just like a Hotmail or Yahoo email account. Ordinary email accounts are POP accounts. POP stands for Post Office Protocol. It is a very simple protocol to receive email. When an email is sent to a POP email account, the servers store it until a user checks and retrieves the mail. Once the mail is retrieved, it will be removed from the server. You must use the exact computer the next time you want to refer to this specific email. This creates a problem when someone is using their email account from multiple places/computers, such as office and home. IMAP is a new protocol created mainly to solve this problem. IMAP stands for Internet Message Access Protocol. An IMAP email account will have all the emails stored and managed from the server. No matter which computer you are using, your email client will access the same mailbox at the server so you do not need to worry about where you have saved your email. However, POP is still far more common than IMAP today. Email clients that support IMAP efficiently are Outlook Express and Eudora. A mailing list allows you to control a list of email addresses effectively. You can manage it through a control panel with features such as adding and removing members. Users can also opt-in or opt-out of the mailing list by clicking on a link or using a web form. You can also determine who can send email to the mailing list. If you are the only one who can send email to the list, then it is probably a newsletter. If all people are given the right to send email to it, then it becomes a discussion mailing list. How Fast is My Hosting? If you are looking to build a website, you are going to need someone to host your content and deliver it to the masses. Choosing the one that is right for you can be a daunting task. If you are currently running a website, you might be wondering, how fast is my hosting? There are hundreds of web hosting sites with varying features and prices. It’s best to put together a list of criteria that you need from your web hosting before you begin your search. One thing you are going to want to watch out for is speed. We have mentioned the fastest web hosting services in this guide but how to determine if you are getting the speed that you need? It is not as difficult as you may think to test the speed of your website/web hosting service. All you have to do is visit one of the many websites that offer free website speed tests. There are multiple free test sites so you can go to a few of them and compare results. And there are much more, to check your website speed on more tools just do a Google search on “website speed test” and you will get plenty results to help test your site’s performance. Many of these sites offer additional services like allowing you to look up the host of any website and much more. Each service performs best in a particular section of the country. Check that the service is based in your region for fastest performance. Choosing the best web hosting to suit your needs is a crucial factor in your online success, especially if you are looking for the best hosting for high traffic sites. If your site already has substantial traffic or you’re planning for future traffic growth, it’s important to make sure you’ve got a hosting platform that can handle the demands of your site to avoid downtime and performance issues. A cheap shared hosting plan is probably not going to keep up with a high traffic site. As a website owner your priority is to have your website running optimally all of the time, so how do you choose the best hosting to make this happen? And of course, your budget! For a budget-friendly option that can still keep up with the level of traffic your site is bringing in, a VPS (Virtual Private Server) may be an option, provided your site’s tasks are not overly taxing on the server. You’ll still be sharing physical server hardware with other users, but your server is virtualized so it behaves as if you have a dedicated server. This means you can install any program you want, make modifications to server files and create other hosting accounts. However, if your site starts to exceed the resources available on the server this will cause issues for your site and the others that are hosted on the server, so you could still be faced with downtime or performance issues, or even have your account suspended. For sites that have high traffic volumes which won’t be suitable for a VPS, a dedicated server is the next step up. This will be a better option for you if you run multiple databases or are using hardware-intensive software platforms. On a dedicated server all of the resources (RAM, CPU speed, etc.) are yours to use however you wish. Cost-wise, there may be some overlap between the top end VPS plans and the lower end of dedicated server hosting but it will pay for you to check which offers the better deal in terms of server resources. Cloud hosting is also a good option for sites with heavy traffic, especially if you have big spikes in traffic. With cloud hosting you can have almost unlimited capacity which is able to absorb huge traffic spikes. Many cloud hosting services offer on-demand pricing which means you will only pay for what you use, so you can keep your initial investment costs low and then increase capacity as your site grows. This is the most flexible and scalable option for high traffic sites, or sites that experience occasional spikes in traffic. If you too are a WordPress lover and need the best web hosting for a high traffic WordPress website than I’ll recommend WPengine Hosting. Remember, Web Hosting is the backbone of a website, it’s really necessary to pick up a premium quality web host (If you’re serious about blogging). I hope this guide has helped you to pick up a good quality best Web host. Share this guide in social media using the social buttons to spread the knowledge. Don’t forget to check out our Best Blogging tools & Resources page where we’ve mentioned the tools we use to maintain this blog. Keep visiting our blog and don’t forget to subscribe to our newsletter to get notification of posts via email. What is a Domain & Web Hosting and What is the Difference?